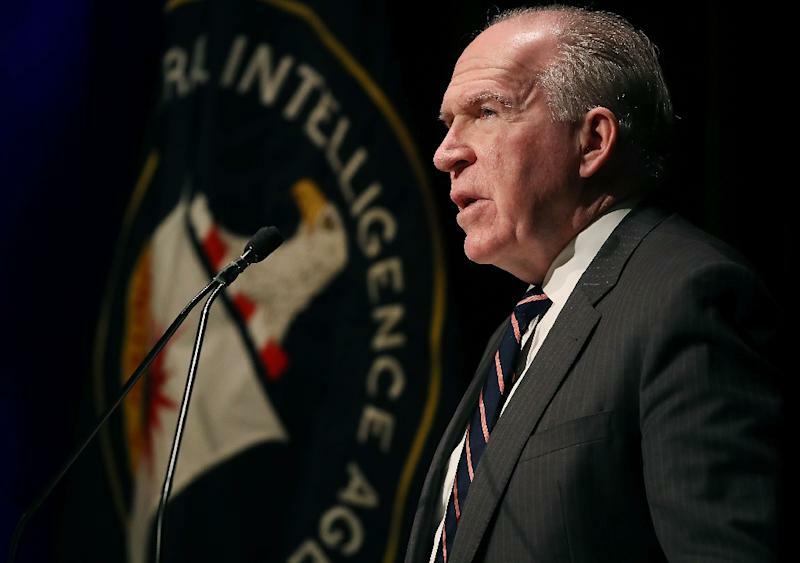 Washington (AFP) - Former CIA chief John Brennan doubled down Sunday on his charge that Donald Trump has engaged in "treasonous" behavior and called on Congress to block the US president's attempts to strip other intelligence officials of their security clearances. Brennan has received an outpouring of support from former top-ranking intelligence officers -- but not much from Republican lawmakers -- since Trump revoked his top secret security clearance last week in retaliation for what the president called "unfounded and outrageous allegations." Trump served notice that other top former and current officials -- all Democrats -- also were at risk of losing their clearances, and the White House has reportedly drawn up more revocation orders, raising the chilling specter of an "enemies list." In an interview with NBC's "Meet the Press," Brennan reaffirmed his most inflammatory accusation against the president. "I called his behavior treasonous. I stand very much by that claim," he said. "These are abnormal times ... I have seen the signs blinking red on what Mr. Trump has done and is doing." Brennan leveled the charge after Trump met with Russian President Vladimir Putin in Helsinki last month and cast doubt on the US intelligence community's conclusion that Moscow meddled in the 2016 election to sway it in Trump's favor. Special Counsel Robert Mueller is investigating whether Trump's campaign colluded with Russia and whether the president sought to obstruction justice. Earlier this week, Brennan denounced as "hogwash" Trump's repeated claim there was "no collusion" with Russia. "This is the time for members of Congress to step up," he said on NBC, referring to a move by Democrats in the Senate to constrain the president's ability to revoke clearances without following the normal process. Republican Senator Ron Johnson, chairman of the Homeland Security Committee, defended Trump's actions towards Brennan, telling "Fox News Sunday" that the former CIA chief had "crossed a line" in his criticism of the president. But he added: "I don't want to see this become routine. I don't want to see it be politicized." Retired admiral Michael Mullen, former chairman of the Joint Chiefs of Staff, said on the same show that while Trump had the authority to pull security clearances, it evokes "the enemies list under president Nixon and even before that in the early '50s, the McCarthy era where the administration starts putting together lists of individuals that don't agree with them." "So it's creating a list of political enemies, in particular those who have worked in a government and some very specifically who spent their life in government," he said. "Doing this would be really off-base."